Congratulations to UBC Pharm Sci PhD students Zeynab Nosrati and Sunny Yang for being named the 2018 recipients of the Mitchell-Dwivedi Graduate Award in Pharmaceutical Sciences. A selection committee unanimously agreed to award two prizes of $9,075 each. The Mitchell-Dwivedi Graduate Award in Pharmaceutical Sciences was established by UBC Pharm Sci alumnus Sarvajna Dwivedi, MSc'88, PhD'92, co-founder and chief scientific officer, Pearl Therapeutics Inc., together with his wife, Seema Dwivedi, PhD. The Dwivedi's created the endowment in 2015 in joint honour of Dr. Dwivedi's graduate supervisor at UBC, Dr. Alan G. Mitchell, professor emeritus of pharmaceutics, and of his father, Dr. Rewa Prasad Dwivedi, professor emeritus of Sanskrit, Banaras Hindu University, Varanasi, India. Zeynab Nosrati is a PhD student supervised by Dr. Urs Hafeli. The award is to recognize Nosrati's contribution to her publication "Development of a Coflowing Device for the Size-Controlled Preparation of Magnetic-Polymeric Microspheres as Embolization Agents in Magnetic Resonance Navigation Technology" published in ACS Biomaterial Science and Engineering. This study describes a high-throughput cost-effective 3D-printed system to produce uniform magnetic microspheres. They are biocompatible and steerable in a MRI machine. This is the first step to magnetic targeted drug delivery to tumors in humans with available clinical imaging equipment. Sunny Yang is a PhD student supervised by Dr. Judy Wong. 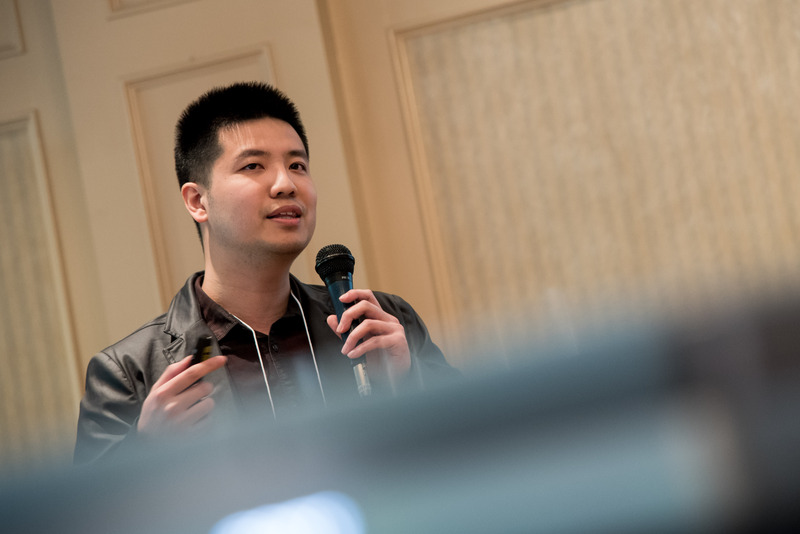 The award is to recognize Yang's contribution to his publication "Transcriptome-wide Identification of Transient RNA G-Quadruplexes in Human Cells", published in Nature Communications. This study shows that other than the predominant double-helical structure, nucleic acids (DNA, RNA) can also fold into several other alternate structures, one of which is a stable four-stranded structure called the G-quadruplex that can be formed and altered in RNAs within human cells, implicating their potential as drug targets. "The Mitchell-Dwivedi Graduate Award recognizes our graduate students who show exceptional inventiveness and initiative in their work," says Dr. Michael Coughtrie, professor and dean, UBC Faculty of Pharmaceutical Sciences. "Our warmest congratulations to Zeynab and Sunny on this outstanding achievement." Dr. Sarvajna Dwivedi is a pharmaceutical scientist and entrepreneur involved in inhaled product development, from discovery to commercialization. His research focus is on treating respiratory illness, specifically asthma and chronic obstructive pulmonary disease (COPD), two major causes of breathing impairment in hundreds of million patients worldwide. Dr. Dwivedi's work culminated in his co-founding of Pearl Therapeutics Inc. in 2006, which is now a group company of AstraZeneca.